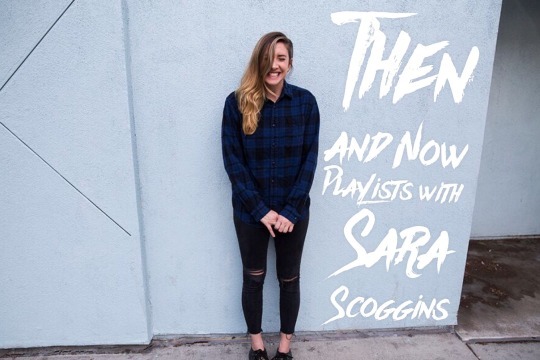 Listeners of the show are well aware of Scoggs’ kickass playlist making skills, so for this edition of GirlTalk, Scoggs has created Then and Now playlists highlighting her top 10 favorite tracks from high school including Brand New and Paramore* and her 10 current favorites including the 1975 and PVRIS. Give a listen to the playlists below! My “Then” playlist is really funny because I’ve never stopped listening to my favorite records from with I was in high school. I still feel the same way about music as I did back then, and as I’ve gotten older, I realized that’s not a guarantee that everyone will retain that kind of connection. So, here’s some stuff I initially fell in love with back Then. So many artists I’ve gotten into the past few years. There’s a lot of exciting thing happening in all corners of the music industry right now. Here’s a collection of what you can find on my Spotify search bar right now.